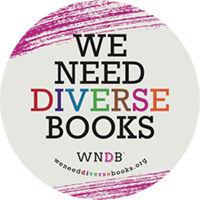 Rating: PG, suitable for all readers over 15 years of age. Christmas Park is stuck in Seoul for the holidays when she should be flying home to Florida. Her parents break tradition and book a Carribean cruise, leaving her to seek a new holiday tradition. It’s Christmas Eve and “Rissa” finds herself in the spotlight—literally! Her plans to enjoy an uneventful, low-key night at the after-hours soju bar turns into a scheme for her co-workers to win the grand prize in a single’s kissing contest. Nothing goes according to plan when Rissa is whisked away by the city’s notorious bad boy, Min Yoo, on an adventurous night around town. What they hadn’t expected was falling for the magic of the holidays—and each other—which all started with just a single kiss. “Let’s give a warm welcome to tonight’s contestant!” The announcer grinned at the cheering crowd. He was a Vegas version of a variety show host, short and plump, and dressed in a loud red suit with a gold bowtie. Rissa stumbled onto the stage when a co-worker pushed her forward. In her slightly intoxicated state, she still managed to remain composed. However her body wasn’t communicating with her head and the contents of her stomach threatened to make an unwanted appearance. She never liked being the center of attention and this queasiness was exactly why she’d avoided these scenarios. “So, who is this lovely lady?” He shoved the microphone under Rissa’s nose and all she could do was blink, her eyes trying to adjust to the blinding brightness. The spotlight held her rooted to the floor as a flush of embarrassment heated her neck and stained her cheeks. How could she be so naïve? Her lips bowed upward at her inability to see past the darkness, to the faces witnessing her moment of humiliation. Don’t let this phase you. Don’t let them get to you. She was sick to her stomach but managed to plaster on a bright smile. AJA! Aja, Rissa! Fighting! Her conscience shouted the affirmation to raise her morale. She straightened her shoulders and lifted her chin. Rissa wasn’t about to crumble in front of her workmates and a room full of strangers. She’d never succumbed before, and she wasn’t about to start now. A wave of dizziness snuck up on her and made her unbalanced on her feet. She sucked in a deep breath, making an effort to remain steady. The heat from the track lights didn’t help matters either. Besides perspiration beading her forehead, she could certainly feel the aftereffects of one too many glasses of soju. Perhaps she should be grateful that the alcohol gave her the courage to tolerate the scrutiny. A sober Rissa was way too level-headed to wind up in this ridiculous predicament in the first place. What a fool she was! She should’ve known this was all a setup. When her co-workers had excitedly suggested going out to celebrate her birthday before the holiday break, she should’ve followed her gut and declined. Instead, they’d used her. She didn’t know what stung more—the fact that she believed they’d had good intentions, or discovering what her feelings were worth to them. Five pounds of Kobe beef, as it turned out, and the soju bar tab settled for the evening. She scowled. It could be worse, right? She supposed that from a positive perspective, at least she was being compared to an expensive cut of meat. She blew out a quick breath and shook off the anger simmering within. The announcer pulled the mic back after her lengthy silence. “No need to be shy.” He raised the note card eye-level and read out loud, “It says here, your name is Christmas Park. How festive! We couldn’t have planned it better than this.” The crowd laughed, some howled and whistled. Rissa hissed, “What kind of contest is this?” His words unsettled her and she glared at him when he waved her question aside. “It’s true, folks. It’s been exactly five years tonight and no one has come close to winning. Perhaps this singles crowd will be a bit more daring this year?” he hinted enthusiastically. Again, the crowd exploded with claps and cheers. Her workmates had blatantly lied to her about the contest. They’d told her it was a silly game of questions and answers, nothing more. Those jerks had pulled many pranks on her since she’d started with the company—from unscrewing the lid off the sugar container to switching the restroom signs so she’d wind up in the men’s room. She’d never expected they’d be quite this cruel. This time they’d gone too far and she wasn’t going to let them off so easily. She couldn’t wait until she got off the stage. There would be hell to pay! Yoo Min Ho lounged casually against the sofa, his eyes taking in the lively atmosphere and animated patrons. The turnout seemed to have tripled at the Seoulful Kiss since the year before. This wasn’t ideal for him for many reasons. For one, he’d started using a disguise so the media wouldn’t follow him. He traded in his Italian suits for an edgier look including styling his hair differently and morphing into another persona all together. He didn’t want to take any chances due to his high-profile image. His friends opted to take his lead since this watering hole wasn’t a place for wealthy class citizens to frequent. This dining and soju bar was a hidden gem that catered mostly to the after-hours crowd. It was tucked away on the very outskirts of Gangnam, an affluent district known as Seoul’s “Times Square”, and was the most comfortable place to stop in after a late night at the office. The cozy, low-key ambiance was exactly why he liked it and continued to return, even if it was out of the way. The interior design was unlike the sleek, modern luxury lounges he had VIP membership to. Instead, it was colorful and held an eclectic, Western appeal. Its mismatched furnishings, subtle track lighting, and concrete stained floors added to the charm. It also boasted exposed brick walls with enormous painted images of popular kiss scenes from American cinema ranging from Casablanca, Gone With The Wind, Rebel Without A Cause, to It’s A Wonderful Life. The only indicator that it was a Korean establishment was the authentic table-top barbecues and wooden bar stools positioned in the back section. 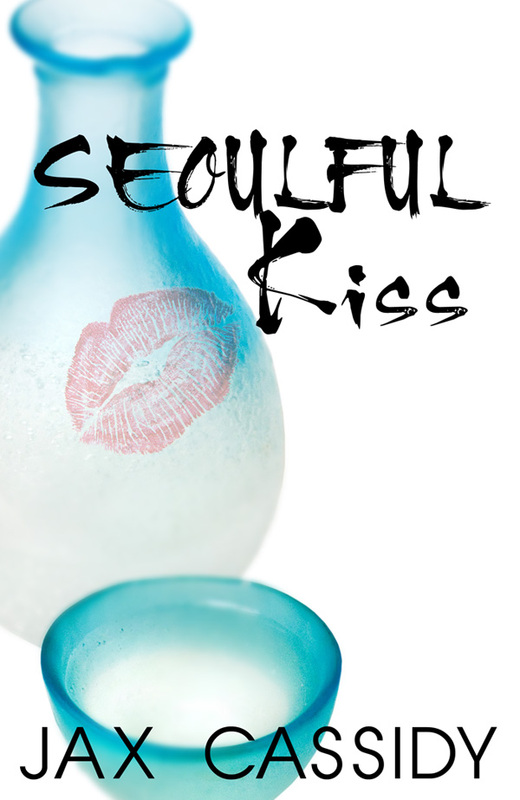 Seoulful Kiss was infamous for two things: barbeque and soju. He supposed now they could add this ridiculous contest to that list. Min lowered the drink as he watched the emcee embarrass another woman, yet again. This was a tradition that he wasn’t particularly fond of. He’d only agreed to join his friends because he’d rather be drinking with them than sitting at home alone. His buddies would drag him year after year on Christmas Eve to see who the contestant would be. He knew the intention of the game wasn’t meant to be mean-spirited, yet the event had morphed into a blown up holiday entertainment that the locals expected. Usually, the women were willing participants who didn’t mind the attention. In fact, their goal was to win since it was all in fun. Of course, the restaurant’s management was known to choose the plainest women in the place to ensure there wouldn’t be a winner. It was a win-win for them: they’d pack a full house, gain a profit, and never have to cash out since no one ever won. The woman on the stage didn’t seem to fit the usual mold. She was a natural beauty, petite in stature, fair in skin, but with a prudish charm that made her interesting. Even from a distance she’d affected him. Her pouty lips and big eyes sucked him in as soon as the spotlight hit, but what he was most intrigued about was her fiery personality. His lips curled into a smile. Her accent was adorable and reminded him of the American-born Koreans he’d known from the days of studying abroad. Although his friends were familiar with Korean customs and culture, they were distinctly Western in their thinking and behavior. There was definitely something fresh and innocent about their views, and it made for engaging conversation. Perhaps she was as unaccustomed to the lifestyle here as he had been in the States. His chest squeezed and he had an overwhelming urge to protect her in that moment. Min tightened his grip on the glass. He was torn between wanting to leave and wanting to rescue the woman from bearing any more discomfort in the spotlight. His head jerked up at her comment and he frowned at the woman in the skintight mini-dress. He had to admit she was beautiful, tall and slender as a model, but her looks were only skin deep. He’d known so many women just like her, and compared to the woman on stage, she didn’t stand a chance. Frankly, the server was unmemorable no matter how hard she worked her assets off. Not like the woman named Christmas. Although she appeared plain, she was completely unique, even quirky. Someone he’d remember if they were to meet in a crowd. The server’s rude comment had flipped a switch in his head and he decided to take action. Min downed the drink before slamming the glass on the table. He shot up from the sofa to his full six-foot height. Once he made a decision there was no going back. Hell, this Christmas Eve he was going to carve his own tradition. He was tired of responsibilities, tired of burying himself in his work simply because it was expected of him. For once, he wanted to do something for himself. He wanted to recapture that feeling of living for himself again. Min didn’t think, he simply reacted. Screw consequences. He heard his friends calling after him as he strode toward the stage…and straight for the doe-eyed woman. Everything faded around him as his eyes locked onto hers, lost for a moment in the deep, caramel color. His heart pounded against his chest like a jackhammer, his palms sweaty, reminding him of high school crushes and the elation compounded by nerves. Every step brought him closer to her. If he’d thought she was pretty from a distance, she was breathtaking up close. “Five, four, three—” the chants increased and so did his heart rate. There was no time left. No time to back out now. Min’s arm shot out and he seized her waist, hauling her against him. She gasped when her eyes locked on his. He didn’t miss her shocked expression, her heavy breathing, and when her lush lips fell open, he captured her mouth in a kiss that was meant to prove the crowd wrong. One that was meant to show that Rissa was a desirable prize, worth much more than what everyone else saw onstage.